Loose No Customers using Smart Google Custom Search Extension! Are you losing any customers? Are you getting huge bounce rate for your store? Do your customers complain that they are unable to find your products on your store? Are you working heavily to configure ‘Magento Search Terms’? Then get rid of those problems! 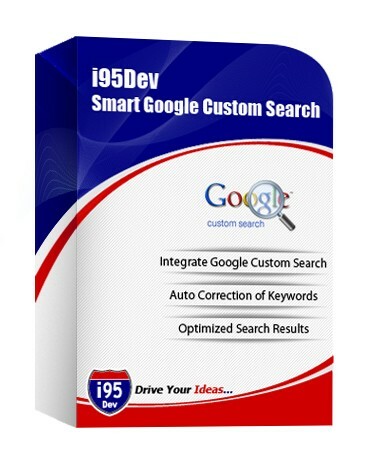 Our Smart Google Custom Search Extension is a unique product that has capability to search for right keywords even though a customer provides wrong or incorrect keywords. The extension uses Google Custom Search Features to search more rigorously about products that are available in your store. 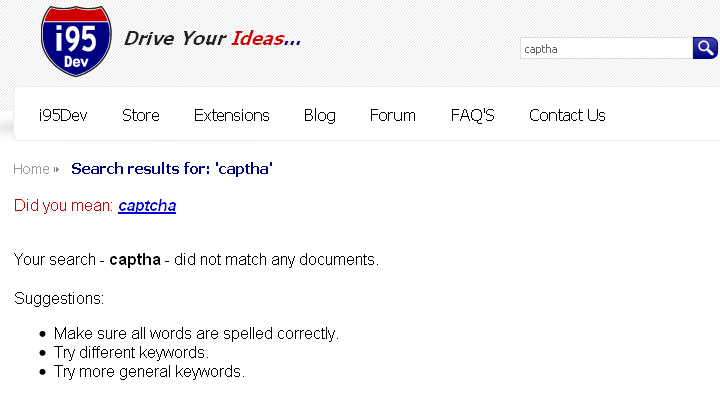 The Google Search Algorithm in this extension suggests synonyms for the search keywords. The Magento Google Custom Search Algorithm thats is an inbuilt feature of this extension basically searches whole Magento Database for a particular keyword that a customer is looking for and provides information. 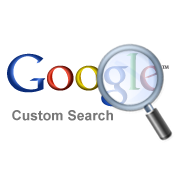 In case, the search fails to find any keyword related to what client is looking for, then it will fetch the data of your store thats been stored over Google Database and show in store. 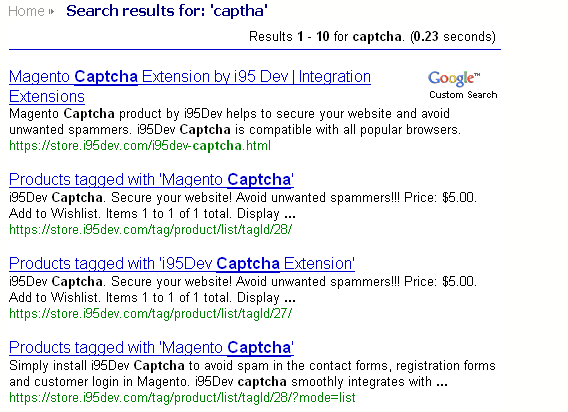 Customers are provided with Keyword Suggestions even though they type a keyword that is wrong spelled. This in turns helps customers to search more effectively about your product information and increase your ROI.